The Department of Foreign Languages and Literatures has agreements with several agencies in the region to receive student interns who are French, German, or Spanish majors, which provide students with practical experience involving observation and application of foreign language. 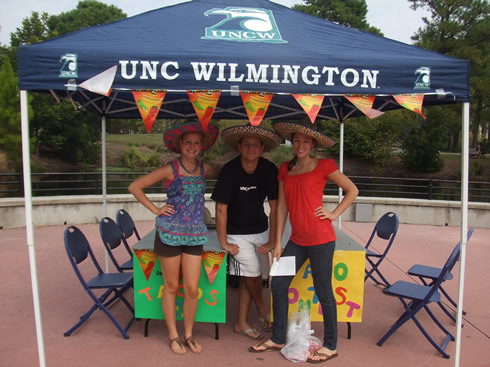 The UNCW Spanish Club is an organization that fosters appreciation for the Spanish Language and culture. Our main goal is to provide students and members of the UNCW and Wilmington communities the opportunity to speak the Spanish language in an informal setting and enjoy activities that promote appreciation for the Hispanic culture while having fun. The Club prepares members to be more active participants in the Spanish-speaking world. We strive to create links between the UNCW, Wilmington and local Hispanic communities. Located in LH 124, the SCC is a place where students can practice their speaking skills in Spanish in a relaxed, low-pressure atmosphere. Graduate students in the Spanish M.A. program serve as conversation leaders. Everyone is invited to participate, regardless of Spanish level. 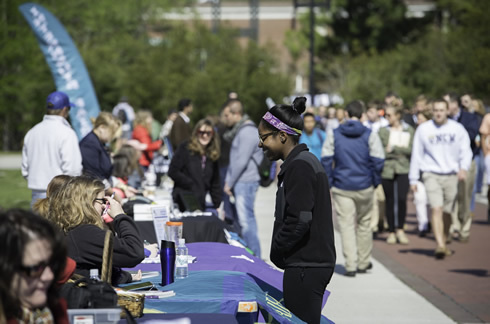 The Conversation Partner Program is a joint effort between UNCW and CFCC to provide conversation practice for students studying Spanish and English as a Second Language. UNCW students who wish to practice their conversational Spanish skills are matched with a native-Spanish speaker in the Wilmington area who is learning English. Participants are asked to meet for at least one hour per week each semester. Everyone is invited to participate, regardless of Spanish level. To participate, complete this short survey, or for more information, contact Dr. Boomershine boomershinea@uncw.edu.